Dene Hillinger has lived on the North Shore her entire life. 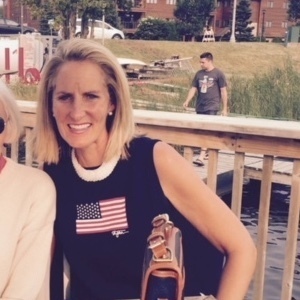 She began her real estate career as a buyer/seller of investment properties 25 years ago ranging from Chicago to Lake Bluff along Chicago's North Shore. Her love of the game led her to do it on behalf of others... her clients. Dene's philosophy is simple... treat each and every client transaction as if it was her own. Dene is a multi-million dollar producer and loves to work with both buyers and sellers and is proud to be associated with Kipp Blackburn in the pursuit of excellence. Dene has owned many different companies prior to her real estate career and brings a wealth of business knowledge to the game. As an athlete, her competitive edge lends itself well in the negotiation process. Dene has a can-do positive attitude and is creative in contract negotiations, highly responsible and dedicated to each one of her clients. Specializing in both staging homes and estate sales Dene will have your house looking picture perfect resulting in the highest prices in the shortest amount of time. The bottom line... she gets the deal done.